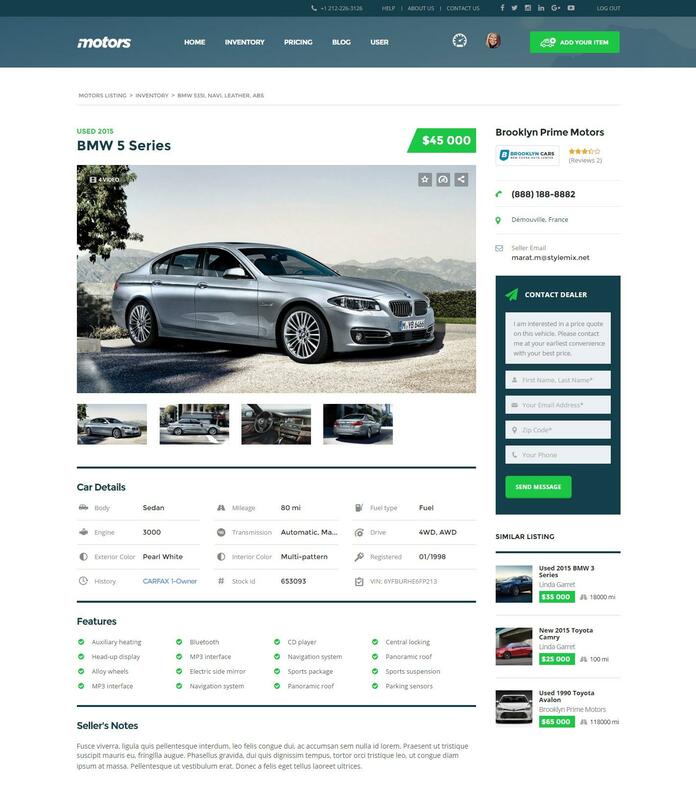 You can find new added modules under STM Listing Layout and STM Listing Single Car modules. Please note that these modules work only with Classified Layout version of the demo content. 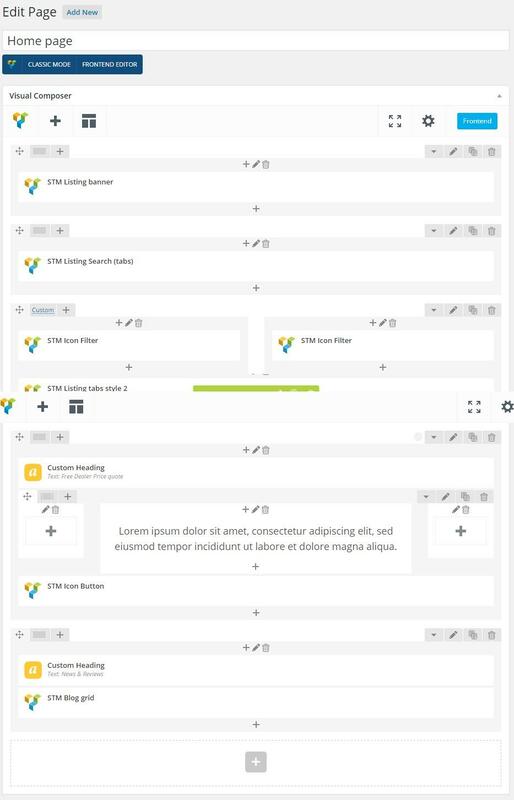 STM Listing layout tab contains modules like STM Listing Search (tabs), STM Blog grid, STM Listing tabs style 2 and etc. which are most important in this layout. 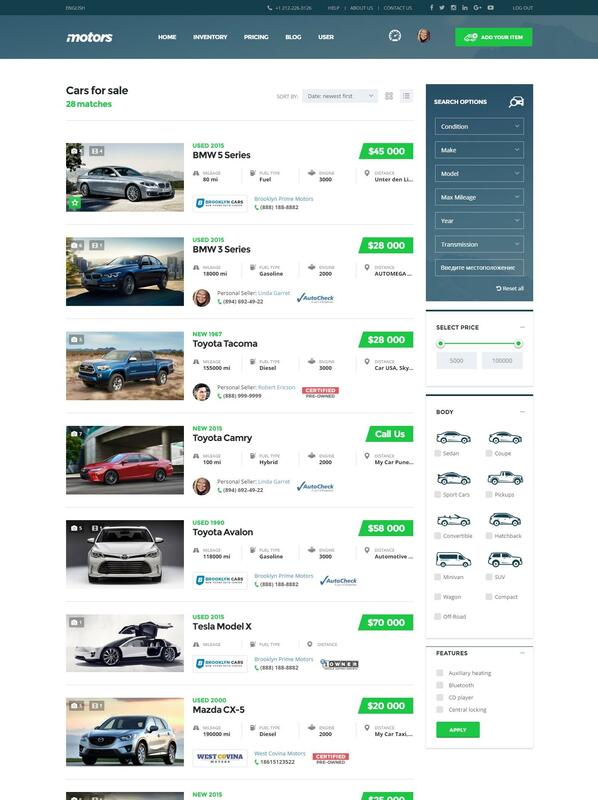 There are several modules for single Listing post page under STM Listing Single Car tab. You can easily add STM Classic/Modern filter VC module in your inventory page in order to get such result in your Inventory pages. 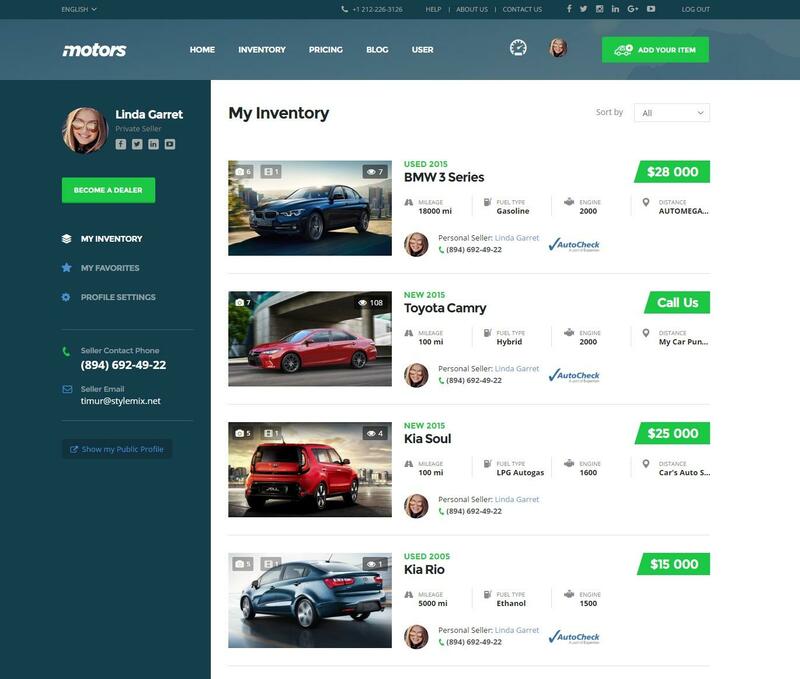 Respectively there are different layout for a Single Car page and additional fields like Reviews, Seller info, Car details and Features. 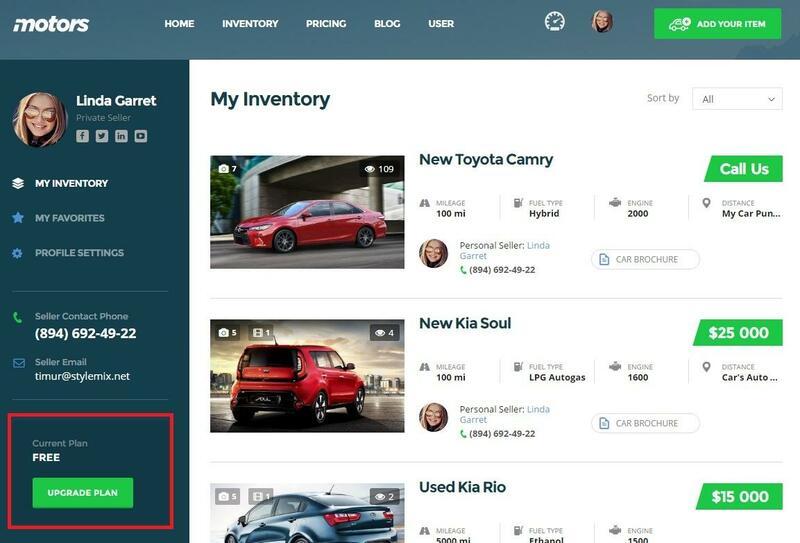 Simple users can send a request to Admin in order to Become a Dealer. 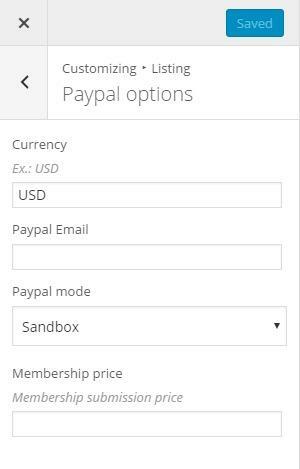 After completing the submission User will be redirected to the Paypal system, you have setup your Paypal settings under Appearance -> Customize -> Listing -> Paypal options. 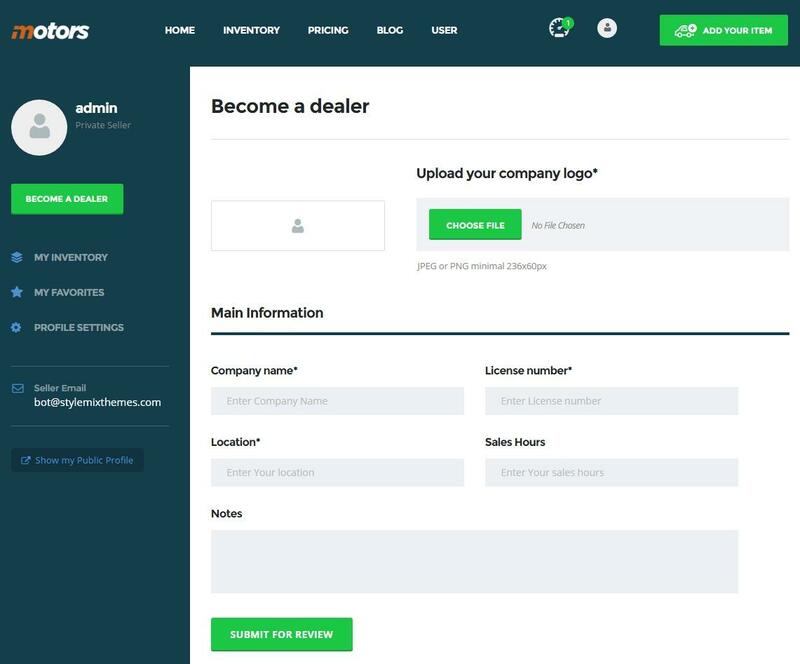 When User sends the request for becoming a Dealer, User and Admin will receive a notification and user’s Payment status will be a pending in the user page under Users menu. After completing the payment, Admin will be notified automatically about it and user’s Payment status will be completed. 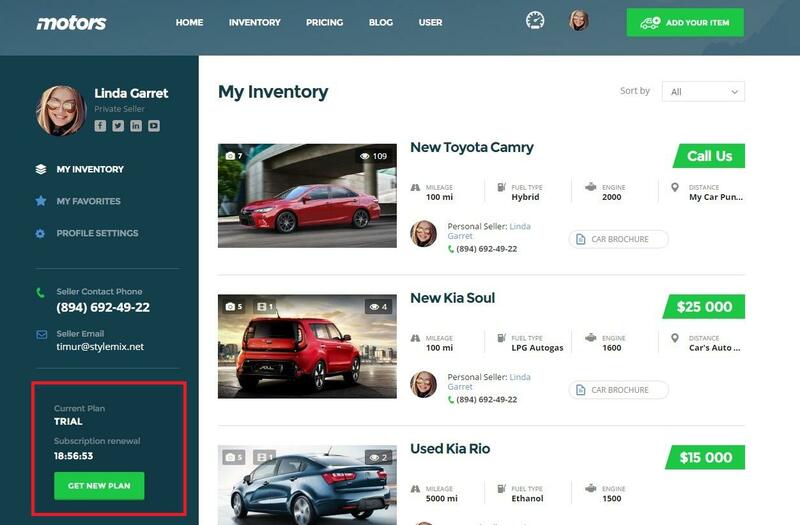 Then Admin can easily set/change the user role to Dealer. PS: It needs to select correct Pricing link (page). Pricing plans works with extra plugin – Subscriptio (https://codecanyon.net/item/subscriptio-woocommerce-subscriptions/8754068). This plugin is included in the theme package with Extended license. 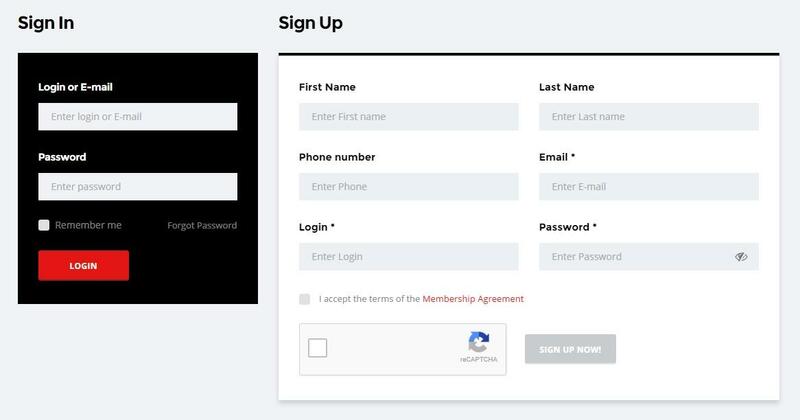 Users change/upgrade their plans via simple Woocommerce Checkout progress. 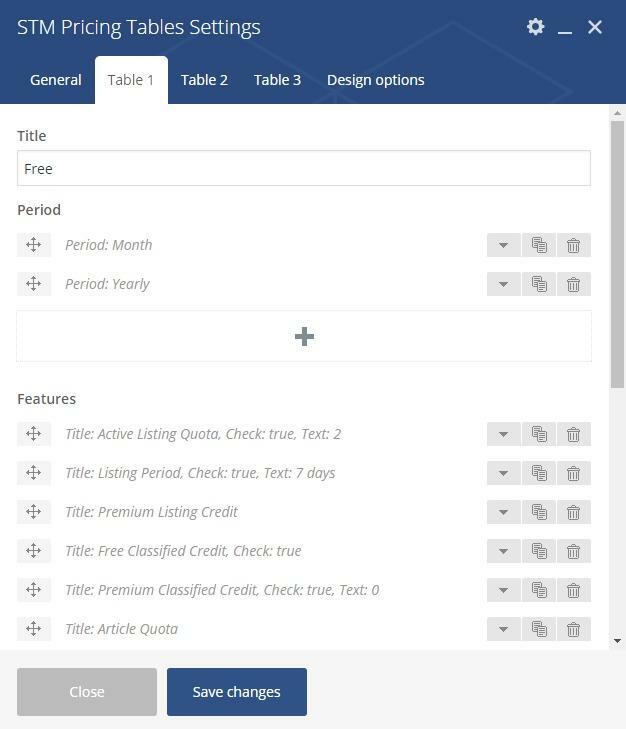 Pricing tables – is one of the new features of the Classified Layout. 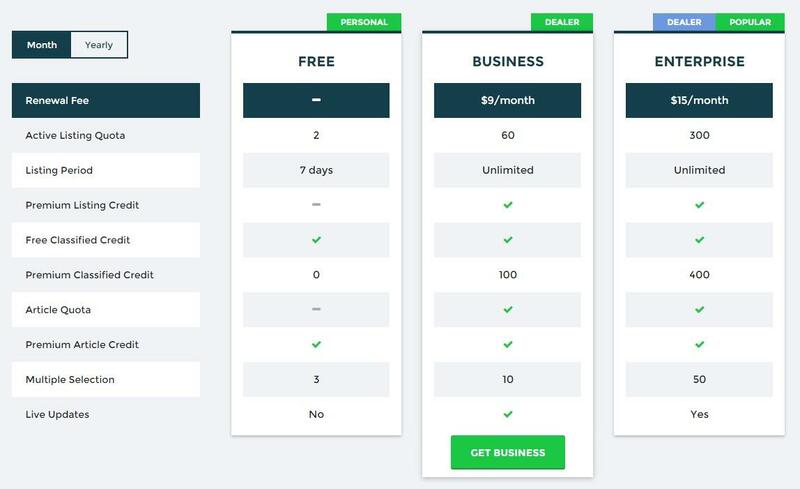 You can build Pricing page using VC Editor and additional VC shortcodes. You can and setup STM Pricing Tables module in your pages in order to display Pricing tables. It’s possible to select Tables count (1, 2 or three ) and set Price Label under General tab of STM Pricing Tables module settings. 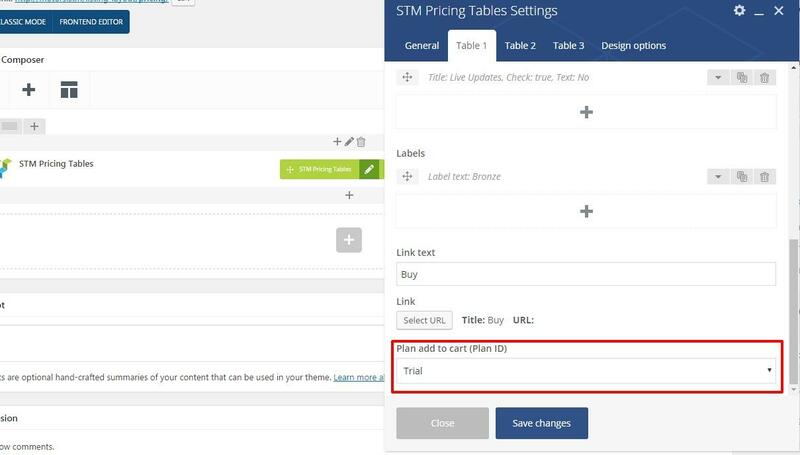 Under Table tabs it’s possible to set Pricing section Title, Periods, Features, Label, extra Link and its options. You need to set these fields for each Tables under respectively tabs.